Three of last year’s Final Four participants are back again: title-holder Sabadell (ESP), Kirishi (RUS) and Olympiacos (GRE) all reached the last stage. The other Spanish side, Mataro managed to qualify for the first time after ousting 2016 runner-up UVSE (HUN). After Kirishi’s double wins over fellow Russian team Ugra two weeks ago, Sabadell was the first one making the Final Four this Saturday. The Spaniards had a three-goal advantage from the first leg played in Dunaujvaros (HUN) and they quickly doubled it in the first period as they took a 6-3 lead. The rest was an easy cruise for them so they can go for a fifth title in seven years later this spring. Olympiacos blew a four-goal lead in Padova (ITA) in the first leg (the game ended in a 10-10 draw) and that almost cost them the F4 berth. The Italians did a tremendous job in the home of the 2015 winners, they kept coming back even though the Greeks were almost always ahead. After 6-4 the visitors shut out Olympiacos for 8:55 minutes and scored three connecting goals for 6-7. The hosts proved their class and soon hit twice but a fine action goal from Elisa Queirolo levelled the score at 8-8 with 2:50 to go and that remained till the end so the penalties decided the outcome. Half of the shots were either missed or saved, Olympiacos netted one more and advanced to the final again. The Greeks survived at the end, but UVSE Budapest could feel sorry for giving its five-goal lead away against Mataro in the first leg. In an action-packed, overheated battle, which saw 34 exclusions, the Spanish side managed to take the upper hand in the return match and ousted last year’s runner-up. Mataro, winner of the LEN Trophy in 2016, took command early and after going 3-1 up they never let the Hungarians get back to equal terms. The visitors trailed 7-5 in the third but after missing connecting man-ups within one attack and a third one later, they went 8-5 down and before the end of this period Mataro scored twice in 26 second to gain a 11-6 lead. UVSE could never recover from that shock and the locals could celebrate of making the Final Four for the first time in their history. 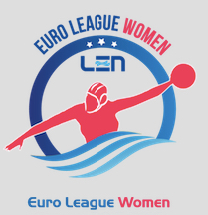 The Euro League F4 tournament will take place on 28-29 April, while the losing sides of the quarters can get some consolation in the LEN Trophy Final Four, to be held on 14-15 April.